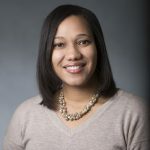 The Office of Diversity, Inclusion, and Community Engagement (DICE) is led by Stephanie White, MD, FAAP, Associate Dean for Diversity and Inclusion, and Shawn O'Leary, Director of DICE. Our efforts and students are supported by our DICE staff, students, and Student Affairs colleagues. Dr. White received her BS in Microbiology from the University of California at Santa Barbara, her MD from The University of Pittsburgh, and her MS in Health Professions Education from the Rutgers School of Health Professions. She completed her residency in pediatrics at Jackson Memorial Hospital in Miami, Florida where she was also chief resident. Following her training, Stephanie joined the faculty of the University of Miami School of Medicine as an Assistant Professor of Clinical Pediatrics. Dr. White is a fellow of the American Academy of Pediatrics and practices as a general outpatient pediatrician at Dartmouth-Hitchcock Medical Center. She has an interest in medical education, student affairs, and diversity-related issues in medicine. Since her arrival in 2015, she has been highly active in serving on the Geisel Admissions Committee, mentoring both residents and medical students, and representing Dartmouth/Geisel at national meetings. As a Public Voices Fellow she has written nationally on the importance of having a diverse staff in higher education and the need for pediatricians to talk about race. In 2018, she was appointed to lead Geisel’s diversity and inclusion efforts as the Associate Dean of Diversity and Inclusion. Dr. White can be reached at: Stephanie.LR.White@dartmouth.edu or to schedule a meeting you can contact Alicia.Hirte@dartmouth.edu. Shawn has been working to create innovative programs in the social justice field for over twenty years since he first volunteered at the Spotted Eagle Elementary School in Duluth, Minnesota. He is a member of the Bois Forte Band of Ojibwe in Northern Minnesota where his family has harvested wild rice for generations. For over ten years, Shawn has been the Director of the Office for Diversity, Inclusion, and Community Engagement at the Geisel School of Medicine at Dartmouth. Shawn is responsible for developing, implementing and overseeing the Geisel School of Medicine's diversity programs and executing its mission of promoting a climate of unity and respect. He is the academic advisor to the Urban and Rural Health Scholars Programs. He also serves as an advisor to minority students and student groups, and works to ensure the success and retention of all minority students, faculty, and staff. Most recently, Shawn has begun work on the Learning Collaborative on Culture, an initiative to increase diversity in the health professions schools throughout New Hampshire. Shawn was selected by medical students for induction into the Gold Humanism in Medicine Honor Society for Outstanding Mentorship. 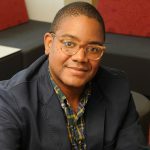 In 2017, Shawn also received the 2017 Holly Fell Sateia Award, a Dartmouth College social justice award that pays tribute to a faculty or staff member who is an enthusiastic and effective leader in advancing diversity and community. Shawn came to Geisel from the University of Maine where he served as Assistant Director of the Native American Center. 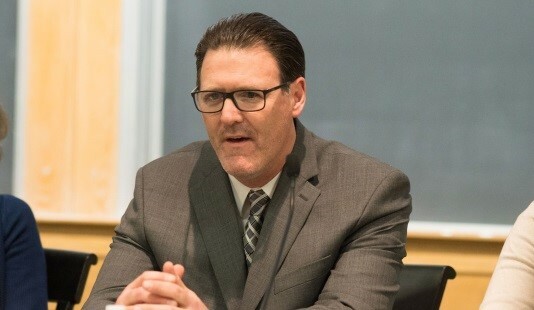 Prior to coming to New England, Shawn worked in his home state of Minnesota developing minority recruitment and retention strategies, based on an individualized student service philosophy, at the Center of American Indian and Minority Health, University of Minnesota Duluth School of Medicine. He chaired the Indians into Medicine advisory board and was the liaison between the medical school and the thirty-four reservation communities in Michigan, Minnesota, Wisconsin and Iowa. Shawn also worked for the Minnesota Chippewa Tribe's Educational Talent Search Program where he worked to promote the educational needs of first generation American Indian students. Wherever Shawn lives and works, he is actively engaged in the community. 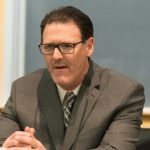 He served as a youth hockey coach and has coached over forty hockey teams the past nineteen years in Minnesota, Maine, New Hampshire, and Canada. While in Minnesota, he was appointed by Minnesota Governor Arne Carlson to the Juvenile Justice Advisory Committee for his work with high school and college dropouts in the correctional system. Shawn has an open door policy and is always willing to speak to prospective or current students. You may stop by his office in Remsen 333 any time, or reach him by phone at (603) 650-1553, or by email at Shawn.M.O’Leary@dartmouth.edu. William Eidtson is Director of Learning Support and Student Accessibility Services at Geisel. He received his doctorate in education from Columbia University and his master’s in curriculum and instruction from the University of Wisconsin-Madison. Prior to joining Geisel, Dr. Eidtson was Director of Professional Development at the NYU College of Dentistry. He also served as Executive Director of NYU’s Academy of Distinguished Educators, of which he was elected a lifetime fellow for his leadership and exceptional contribution to teaching and learning at the College. At Geisel, Dr. Eidtson leads workshops and meets individually with students to advise them on how to successfully navigate medical school. This includes coaching in time management, study strategies, test-taking, as well as approaches to USMLE Step exams. He also works with students who have documented disabilities or students who suspect they may have a disability. Additionally, Dr. Eidtson oversees and coordinates the Geisel Realizing Individual Potential (GRIP) program. You may reach him anytime by stopping by his office in Remsen 310B, by phone at (603) 650-1125, or by email at William.Eidtson@dartmouth.edu. Minnie is the Administrative Assistant to DICE. She provides all clerical support to the office, and works closely with Shawn on all aspects of the budget. 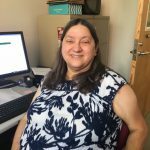 Minnie is in the office Monday, Tuesday, and Thursday from 9:00 AM to 4:00 PM, and can be found in Remsen 335, next to Shawn's office. She can be reached via phone at (603) 650-1508 or by email at Minnie.L.Slater@dartmouth.edu.